UPDATED – JERUSALEM (CNS) — In an open letter to U.S. President Donald Trump, Christian leaders in Jerusalem said U.S. recognition of the city as the capital of Israel could have dire regional consequences. 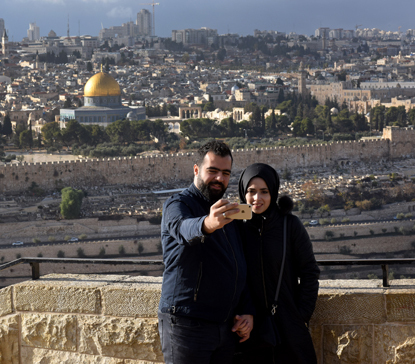 The internationally unsettled status of Jerusalem and its central importance to Jews, Muslims and Christians explains why, while recognizing the state of Israel, no nation has its embassy in the holy city. Since the early 1990s, the Vatican has called for a special status for the city. It has insisted the political question of the city’s status must be the result of negotiation. Although the U.S. Conference of Catholic Bishops did not comment on Trump’s announcement, earlier this year, Bishop Oscar Cantu of Las Cruces, New Mexico, chairman of the bishops’ Committee on International Justice and Peace, urged U.S. Secretary of State Rex Tillerson to keep the U.S. Embassy in Tel Aviv. “Relocating the embassy to Jerusalem is tantamount to recognizing Jerusalem as the undivided capital of Israel,” which would destabilize the region, Bishop Cantu said in the letter dated Feb. 1. 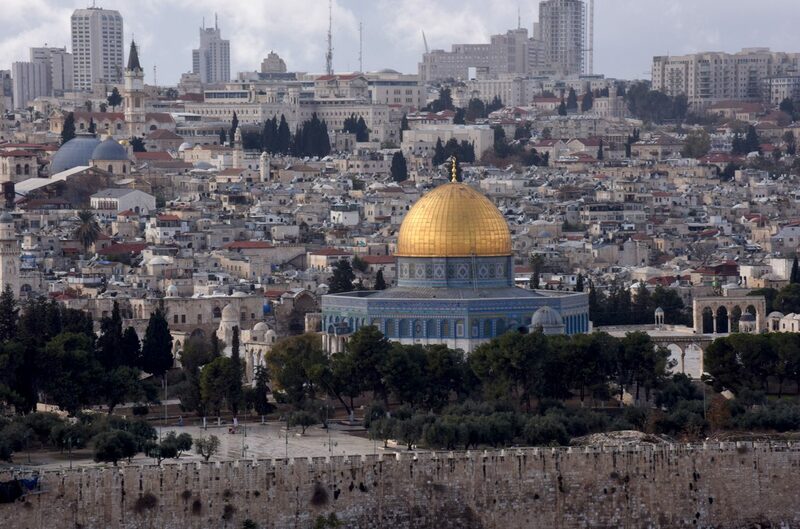 In Jerusalem, Wadie Abunassar, chairman of media relations for the Christian leaders, said the status of Jerusalem is not only an issue for Israelis and Palestinians, but also for other Muslim countries as well. He noted that already a gathering of Arab foreign ministers has been organized for Dec. 11 as well as a meeting prepared by Turkey for Muslim countries. “Jerusalem is a sensitive issue for all, so the Christian leaders, (following) the pope, are making an appeal to President Trump to be wise — there is a need for wisdom … especially in such an explosive situation,” he said. In Lebanon, Abdul Latif Derian, grand mufti of Lebanon’s Sunni Muslims, called on Arab Islamic leaders to counter the U.S. embassy’s relocation to preserve the Arab identity of Jerusalem. The mufti is an important figure for Sunni Muslims, not just locally but regionally. Most of the Palestinian population in the region is Sunni Muslim. “The recognition of Jerusalem as the capital of Israel is unacceptable and represents a step toward the elimination of the Palestinian cause, which will not be allowed by Arabs and Muslims,” the mufti said, calling to confront the Israeli enemy in various ways. “Confrontation is a legitimate right aiming to defend the occupied land of Palestine,” he said. Many Israelis celebrated the move; U.S. Jewish groups were split in their reaction. So, are the Extremists who are currently persecuting Christians going to be nicer when they harass & bomb their churches if the U S Embassy is not moved to Jerusalem — is that what the concern of our hierarchy is?